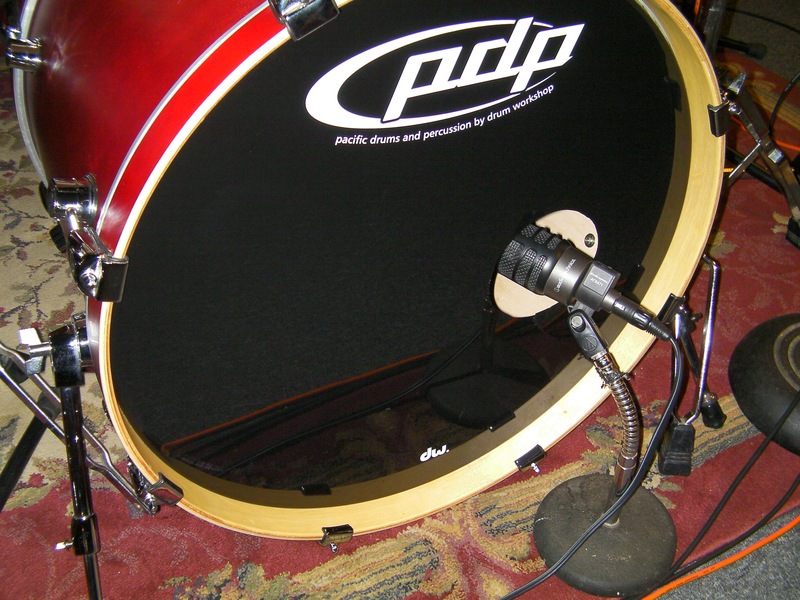 The way you mic the kick drum will depend on the head configuration of the kick, i.e. open, closed or with a hole cut through the head, and the type of sound you are wanting to achieve. 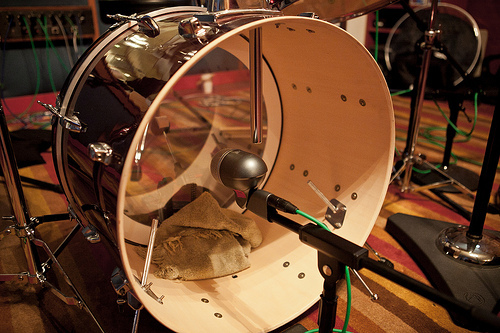 For a kick drum with no front head (resonant head), place a large diaphragm dynamic mic inside the kick drum, off centre from the beater, about 3 or 4 inches from where the front head would have been. With a closed head place the mic halfway up and off centre, approximately 3 to 4 inches from the front head. Place the mic so the capsule is just inside the edge port. If you are wanting to achieve a kick sound with more attack, position the mic at about a 30-45 degree angle, aiming towards the beater, otherwise aim the mic towards where the batter head meets the bearing edge of the drum, to achieve a kick sound with more tone. Some engineers will often use a secondary condensor mic, positioned way back from the front head to capture the ‘air’ and fundamental of the kick, which the closer mic misses. 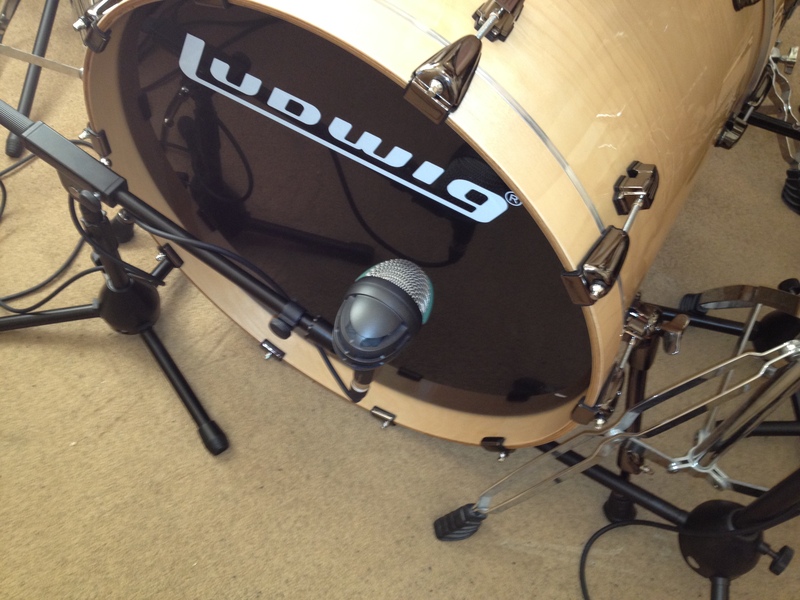 If the front head of the kick drum is closed, when the kick drum is hit you will be able to feel a shockwave produced from the front head, move the mic back until the shockwave just disappears, i.e. on the edge of the shockwave, positioned towards the centre of the drum. 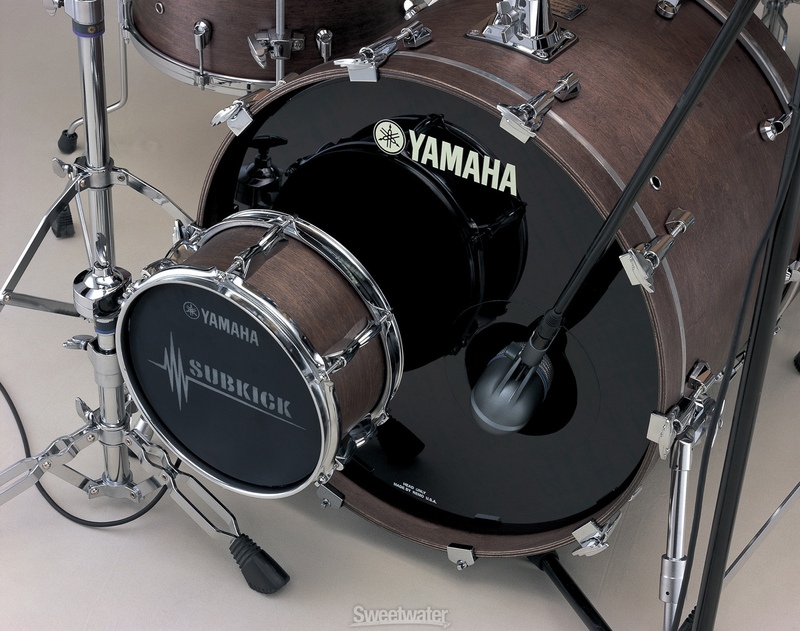 A subkick can be placed about 2 inches away from the front head, close to the centre, to pick up some of the lower sub frequencies (20 to 40Hz) that the kick drum produces. This along with the main mic produces a kick sound with the attack of the beater and the body of the drum. A useful video on how to mic a kick drum, using one mic placed inside the sound hole of the front head and a subkick. This entry was posted in Uncategorized by elliotlaws. Bookmark the permalink.